Family Physicians in Richardson: Meet Family Medical Doctor, Haroon Rehman, MD for the best family medical care to you and your family in Richardson, TX. Family Physician, Dr. Haroon Rehman, MD practices at iMedicine & Primary Care near new Methodist Richardson Medical Center TX, close to Baylor Emergency, Murphy TX. His top priority is to deliver the best family medical care to your Family in Richardson TX. His practice focuses on adults, adolescents and the elderly. He is an Experienced, Board Certified, Quality Physician, specialized in common medical problems to complex, multiple medical diseases. He has privileges to admit and follow his patients at new Richardson Methodist Medical Center across his medical office. Please see below for the Conditions / Diseases he treats. He is accepting new patients including Medicare. Same day appointments are available with online scheduling convenience! Yes, set up same day appointment online in just a few clicks! or call 972-649-5937. There is little to no waiting time in the lobby to the examination room! He is also available after hours on request Monday through Thursday and on Saturday mornings! 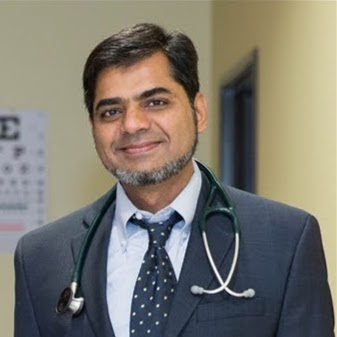 Graduated in 1992, Dr. Rehman has extensive experience in Primary Care, Hospital Medicine, Intensive Care, Coronary (Heart) Care and Long term Care. Dr. Rehman moved to Texas in 2011 and has served several communities. Currently, he is serving families in DFW metroplex including Richardson TX, Murphy TX, Garland TX, Wylie TX, Sachse TX , Allen TX, and surroundings. St- Lukes' Roosevelt Hospital, Columbia University, College of Physicians and Surgeons, New York. - Honorary Clinical Research Fellow. White Coat Hypertension, ...and more. No board actions found for the years that Health grades collects data.